2015 has been an exciting year for climbing, and Seattle Parks and Recreation is set to celebrate it all with the Camp Long Mountain Fest on Sept. 13, 2015. Are you ready for a brand new beat? Summer’s here, and the time is right, for dancing in the street PARKS! Grab your friends, kids, neighbors or significant other and get ready for the second half or our annual Dancing ‘til Dusk events. Enjoy the Seattle Japanese Garden after hours for the annual Moon Viewing Festival from 7-10 p.m. on Saturday, Aug. 29. For one enchanting evening each year, the Japanese Garden is magically lit up with lanterns, luminaries and floating boats on the pond welcoming the arrival of the full moon in Japanese tradition. During o-tsukimi –the Japanese word for moon viewing–the beauty of the garden is enhanced by the sweet sounds of live instrumental music afloat in the night air, inspiring both romance and poetry. Performers include Marcia Takamura and Chigusa Kitai on koto, James Jennings on shakuhachi, Gretchen Yanover on cello, and White Swans Records artist Gary Stroutsos on bamboo flute. 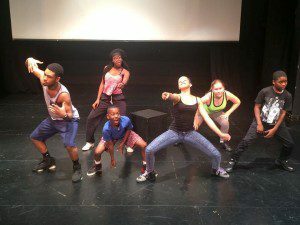 Teens rehearse for the Teen Summer Musical. The Langston Hughes Performing Arts Institute (LHPAI) and Seattle Parks and Recreation present the Teen Summer Musical (TSM) extravaganza, Snow White and the Seven: “Each One, Teach One,” featuring 80 youth ranging from 7-18 years old, Aug. 20 -23 at the Seattle Repertory Theatre (155 Mercer St, Seattle, WA 98109). Tickets are $8 for youth (12 and under) and $10 for adults. Join your family and friends for the traditional Salmon Bake at Laurelhurst from 5:30-8 p.m. on Thursday, Sept. 10. Special community businesses, Laurelhurst Community Center, Lifelong Recreation and Specialized Programs have partnered to make this another fun event for neighbors to enjoy. 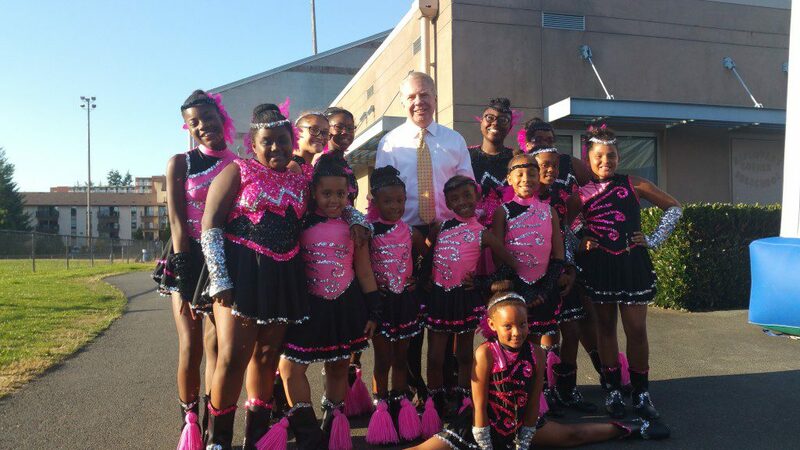 Mayor Murray and Bitter Lake Community Center’s drill team, The Divas, at National Night Out, Aug. 4. Mayor Murray and Bitter Lake Community Center’s Kendo class at National Night Out, Aug. 4. Mayor Ed Murray joined more than 250 community members at Bitter Lake Community Center’s National Neighborhood Night Out event on Aug. 4. Neighbors were treated to free food and activities such as face painting and carnival games. Bitter Lake’s drill team, The Divas, and its very popular Kendo class performed for the crowd. Attendees received information about upcoming programs and events at the community center and learned about nearby services provided by the Department of Neighborhoods. From 2-5 p.m. on Sunday, Aug. 16, visit the Seattle Japanese Garden for its Wandering and Wondering event. Wander through the garden and wonder at the sights and sounds emerging from the landscape. Experience the beauty and tranquility of the garden in a unique way.